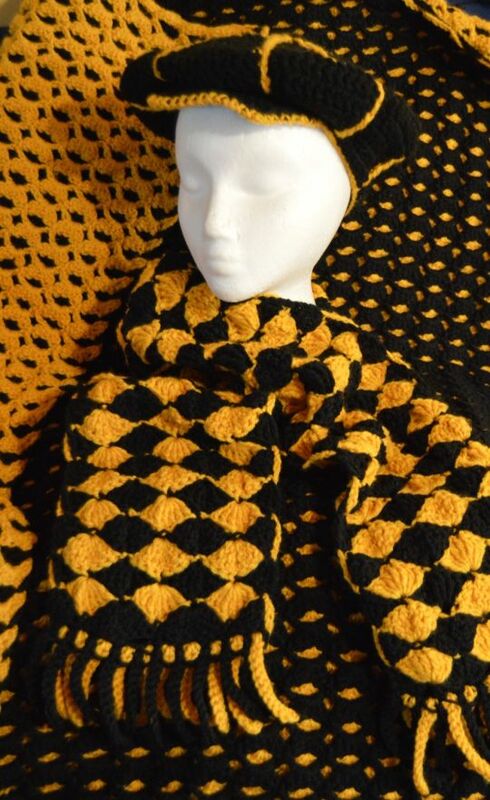 How do i get the pattern for the scarf and lapghan? I too would like to know where I can get the pattern for the scarf and lapghan and the hat and fingerless gloves also. Thank you.